Video is an important tool for any company’s marketing strategy and for this reason you tube is an important platform for promoting their products. By bringing your videos on You tube people can subscribe and find your videos while browsing on YouTube. 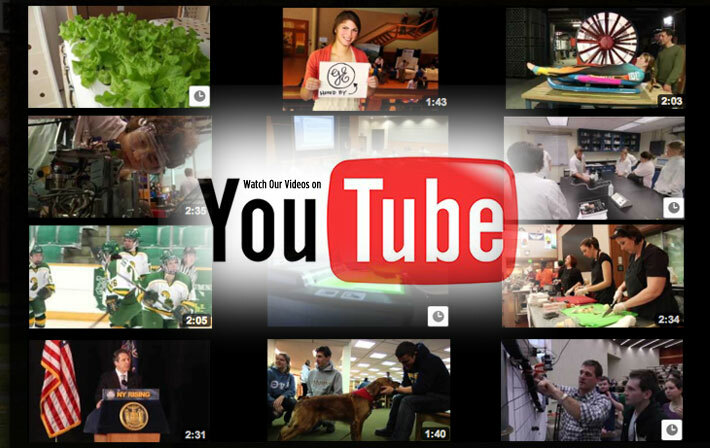 You tube is the second largest search engine with over 30 million visitors per day. This creates a lot of opportunities for connecting with large base of customers to promote your business to another level. However because YouTube is a very large platform there is a lot of competition when it comes to ranking. Just like any other search engine you want your videos to come in results when someone types in a certain search term. For this you need to not only have a strategy for the videos but also an SEO strategy to make sure that they get seen by the right people. Before doing any optimization it is important to remember that You tube works very similar as any other search engine. The visual content should be of high quality, it should be targeted to make people link back. You should stay consistent and put your thinking to create videos that are unique. For this you should do a research and make videos that can attract visitors. If you are able to find correct keywords then it will help you in optimizing that video. In this direction YouTube Keyword Tool is an excellent place to try different keywords relevant for your business. It will also help you to figure out the area where there is not so much of competition and there is need for a video. In addition to this it will provide you the right keywords and video rich snippets to help your videos rank on Google SERP. At times it is always good to have videos because sometimes the videos outrank the content. Therefore take some of these terms and plug them into Google and YouTube to get ahead of your competitors. The video title should be short and grab reader’s attention. You will have to write 120 characters about your video to make people click on your video. While taking SEO point of view you should add on or two keywords in the title at the same time it has to look natural. When YouTube bots crawl your webpage containing video you should keep in mind that they actually crawl the words not your video which is the reason why description is very important. Therefore make sure that keywords are included in the description and few other similar words to help with semantic search. This not only assist you tube in classifying your video and gives viewers more information. It is always a better idea to put link at the top of the video because only 55-70 characters are usually shown. In Tags you should put your keywords to help YouTube to learn about your video. There is no limit to the no. of keywords therefore try to be specific to add your location, categories, names of people in the video it is suggested that 10 tags are sufficient. You should try to make links that are directed towards your YouTube videos. In addition to this you should have a good link profile with lots of legal pages linking to your video. If someone links back to your video on his blog that link improve your ranking on you tube. Linking your video on social media sites also help your ranking because the more people know about your video the more people will share it or reference it when writing something on the web. If you have a quality thumbnail image your click through rate will improve therefore creating a thumbnail for each of your video is important. A custom thumbnail provides you control over what people see before they decide to click. The thumbnail should have a resolution of 1280*720, PG, .GIF, .BMP, or .PNG form, and use 16:9 aspect ratio.